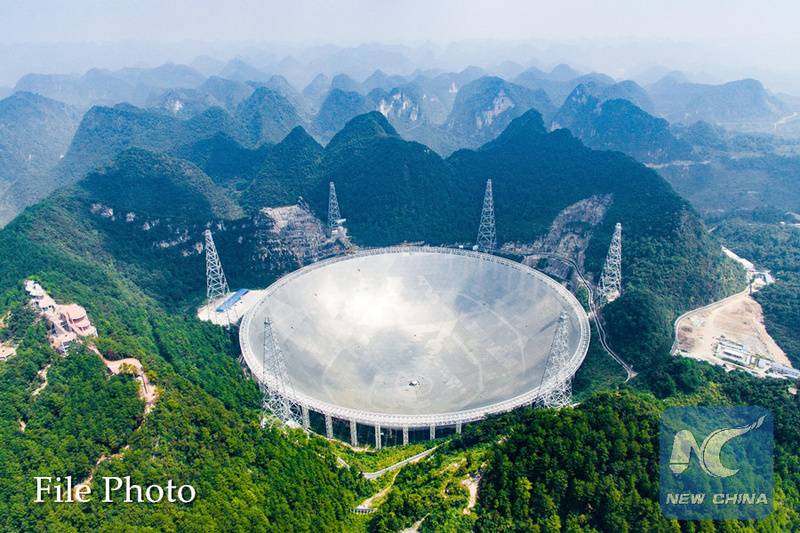 MOSCOW, Jan. 12 (Xinhua) -- Control over Russia's only space radio telescope Spektr-R has been lost due to a failure of communication, the Russian Academy of Sciences said Saturday. The telescope could not recognize instructions from the control center but is still sending data back to Earth, according to Nikolai Kardashev, director of the Astro Space Center of the Physical Institute of the Russian Academy of Sciences. "Now there are attempts to fix the situation ... There are various systems of communication there, some of which are operating and some are not ... Such failures have already happened. Everything may operate again. We hope for that," Kardashev was quoted by Sputnik news agency as saying. Several attempts to regain control over the telescope had failed, he said. The Spektr-R telescope was launched in 2011 and the warranty period of its active operation expired in 2014, after which it continued to solve target problems, according to Russia's state space corporation Roscosmos. Another attempt to reestablish contact with the telescope will take place on Sunday, Roscosmos said.